16 Towy Terrace, Ffairfach, Llandeilo, Carmarthenshire, SA19 6ST. 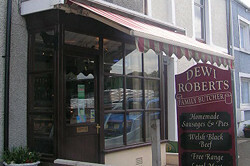 We are award winning butchers specialising in Welsh Beef, Saltmarsh lamb, local free range pork and bacon. We were Taste of Wales highly commended winner 2007/09. We also produce home cooked meats and pies and stock a range of fine wines, preserves, Welsh cheeses, fresh fish, and many different seasonal meats. 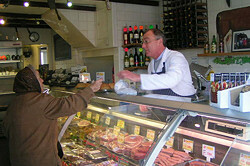 We are also a local game specialist, and make homemade sausages and burgers.